You will not know how important 3D effects are unless you analyse your slope using a 3D program. TSLOPE models provide valuable insights into slope behaviour. 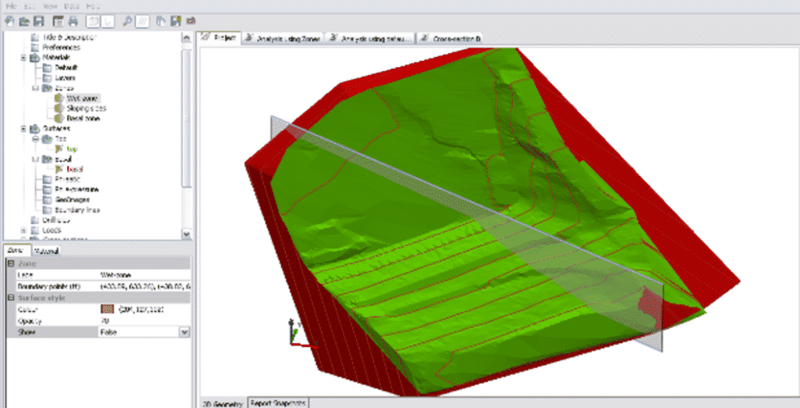 The video shows a TSLOPE model constructed with surfaces modelled in Vulcan, with analysis in 3D followed by 2D.